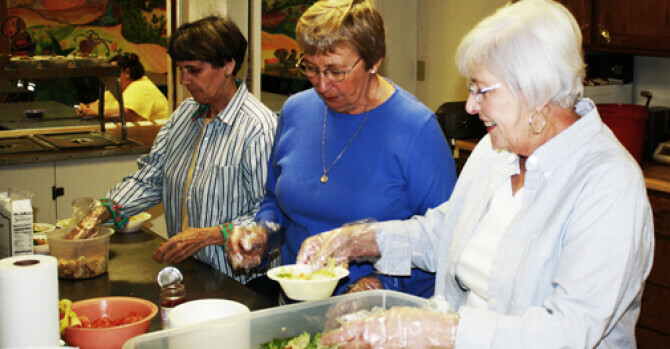 The fourth Monday of every month volunteers from First Baptist Church serve meals at the Soup Kitchen of Frankfort. Volunteers begin arriving around 9AM and prepare the lunch meal for the day. The food is served from 11:30 to 1PM to anyone seeking a meal. If you have questions about volunteering or assisting with this ministry please feel free to contact Dr. Keith Felton. Come and join us in this opportunity to feed the hungry!